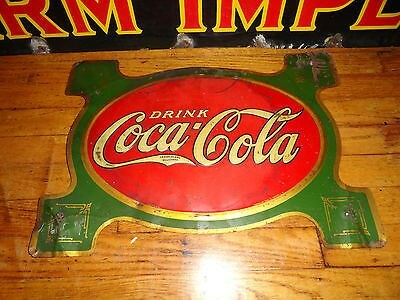 This 15″ by 20″ Coca Cola sign is what we would call a turtle shell shape. This sign is green around the edges, and has a red oval in the center. In the center of the red oval is text that reads “Drink Coca Cola.” It was intended that the sign would be mounted in each of the four corners.